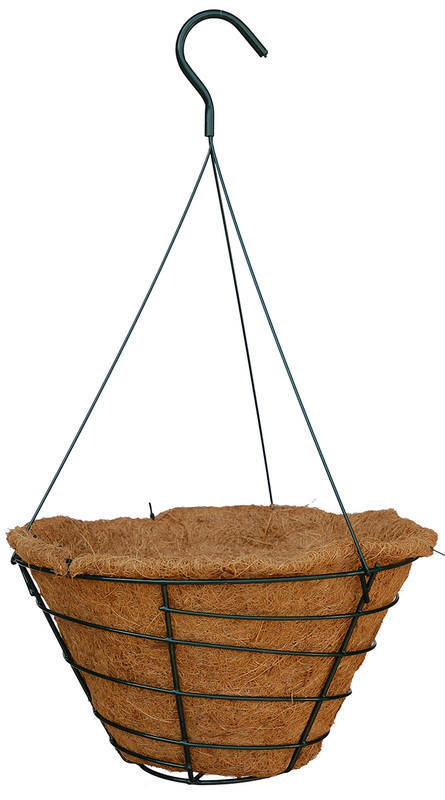 Each 12" CocoMoss ProvenGro Hanging Basket comes with heavy duty wire hanger and custom fit CocoMoss liner - dark green finish. Wholesale pricing will apply to wholesale accounts. Hand preform coco fiber liner will fit our SB-F30 12" hanging basket but also will fit most wire baskets in this size.